SIPTU MEMBERS WORKING in Pfizer pharmaceutical plants in Cork are set to take industrial action in a dispute over pensions. A 24-hour work stopped by Siptu members at the Ringaskiddy plant will take place on 15 February. This will be followed by a 24-hour work stopped in both the Ringaskiddy and Little Island plants on 18 February. There will also be an indefinite overtime ban from 16 February in both plants. Siptu has warned that further work stoppages could take place over the coming weeks. Pfizer staff at the trade union are objecting to the company’s proposal to change from the current Defined Benefits (DB) pension scheme to a Defined Contribution (DC) pension scheme, which was first proposed in 2014. The company’s current DB pension plans are non-contributory, meaning that employees make no contributions to their benefits. Pfizer has said this is “very unusual in either the private or public sectors”. Pfizer has said the cost of the company funding the DB scheme has risen 1000% since 2009. Siptu members are seeking for the changes not to happen. “Our members cannot understand why Pfizer Ireland management has sought to change their existing pension benefits while at the same time allowing its employees in other EU countries remain in a DB scheme,” Siptu organiser Ray Mitchell said. Siptu members have rejected a Labour Court recommendation on the matter. “They now feel they are left with no other option but to take industrial action in order to persuade the company to reach an agreement with them on their Defined Benefit pension scheme,” Mitchell said. Mitchell added that the company is aware that the current joint union/management collective agreement remains in place until a new one is negotiated and agreed with unions members. “Until then, there can be no alteration or amendment to the existing DB pension scheme,” he said. As noted above, in 2014, Pfizer proposed the introduction of a DC pension scheme to replace the DB scheme. This would be for future accrual only and Pfizer would continue to fund the existing DB schemes in accordance with its obligations. The proposed changes affect around 900 Pfizer employees across four sites in manufacturing, shared services and commercial operations. Pfizer has around 1,400 more employees in Ireland who are on the DC scheme. Pfizer has said it is “disappointed that the outcome of the union ballots support industrial action, which is disproportionate”. 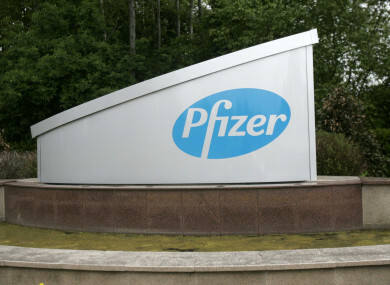 “Pfizer has accepted the Labour Court recommendation which includes enhanced terms and transitional arrangements,” a spokesperson said. “Pfizer’s defined benefit pension schemes provide benefit values at the upper end of the pension benefit range and the defined contribution scheme recommended by the Labour Court also provides pension benefits at the upper end of the scale,” they said. The spokesperson added that “the company has allowed significant time over five years to work with colleagues on the changes to the Defined Benefit pension schemes”. “The Labour Court recommendation’s proposals are very generous including lump sums of up to €35k, company contributions of up to 15% of pensionable pay, early transition incentives of up to an extra 14% of pensionable pay per annum on top of company contributions, or for those who do not transition early, three to seven extra years of accrual in the defined benefit schemes based on a colleague’s age at 30 June 2018 and the opportunity for colleagues over 50 on 30 June 2018 to stay in the defined benefit scheme until such time as they retire or leave the company,” the spokesperson said. “The company would also commit to funding what is accrued already in the Defined Benefit schemes and would continue to do so at considerable cost, so colleagues benefit from what is held in their DB pension,” they said. Email “Pfizer staff to take industrial action in ongoing dispute over pension changes ”. Feedback on “Pfizer staff to take industrial action in ongoing dispute over pension changes ”.